Patrons can now purchase alcohol a little earlier on Sundays in Dry Ridge. The Dry Ridge City Council recently passed changing the hours of Sunday alcohol sales from 1 p.m. to midnight to 10 a,.m. to midnight. The change came after a business owner asked the council to look at making the Sunday start time earlier for alcohol sales since other cities in the county had previously made changes. The musical runs Dec. 8-10 and Dec.15-17 at Main Street Gardens in Williamstown. Friday and Saturday night shows (Dec. 8-9 and Dec. 15-16) will feature a dinner buffet starting at 6:30 p.m. with the show beginning at 7:30 p.m. Helping Hands’ thrift store will double its size after expanding into Cinderella Laundromat next door. 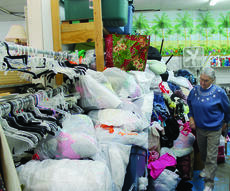 Located on North Main Street in Williamstown, the thrift store has had its doors open to donations and customers for five years, but now those doors are busting at the seams, said co-managers Dee Hartfiel and Tandy Taylor. 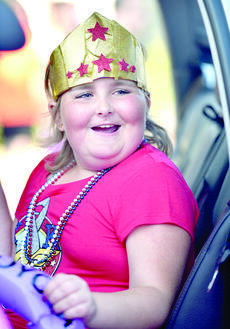 Nine-year-old Kambria Koebbe, whose contagious smile could light up a darkened room, died Thanksgiving Day after a hard-fought and courageous battle with a rare form of brain cancer. The Sherman Elementary third grader was diagnosed last year with an inoperable thalamic glioma brain tumor. Although Dry Ridge Mayor Jim Wells said his Dec. 7 deadline shouldn’t be perceived as an ultimatum, many other government leaders perceived it as such — and they’re starting to take action for their own cities or county. 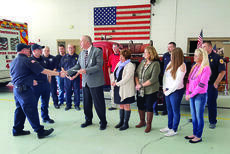 Eight months after implementing a 2 percent occupational tax, Grant County has raised $1.6 million in revenue directly from taxpayers. Colton Simpson, county tax administrator, estimates the county will collect $2.5 million by the end of January at the current rate of collection.